Supreme Gear Lube is a multi-purpose, thermally stable and durable, synthetic blend gear lubricant recommended for enclosed industrial and automotive gear drives where extreme pressure protection is needed. polyalphaolefin (PAO) synthetic base fluids. 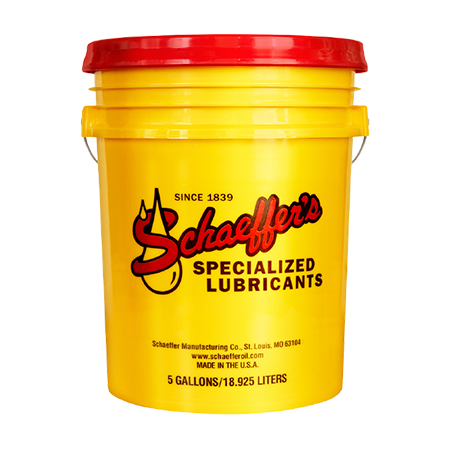 This advanced formula delivers thermal and oxidation durability and stability capable of withstanding temperatures 150°F to 175°F higher than conventional gear lubes. Supreme Gear Lube is blended with molybdenum disulfide to create a fine, but highly durable shield on metal surfaces. As conditions intensify, our gear lube protects gears and bearings against excessive wear, friction and vibration. By reducing friction, wear and thermal degradation, Supreme Gear Lube extends equipment and fluid life and boosts energy efficiency.